Indian actor Amir Khan aka Mr. Perfect’s one comment brought out the true intolerant culture in few of the extremist Hindus. He not only faced the threats but was disgusted too by these extremist organizations and their followers. 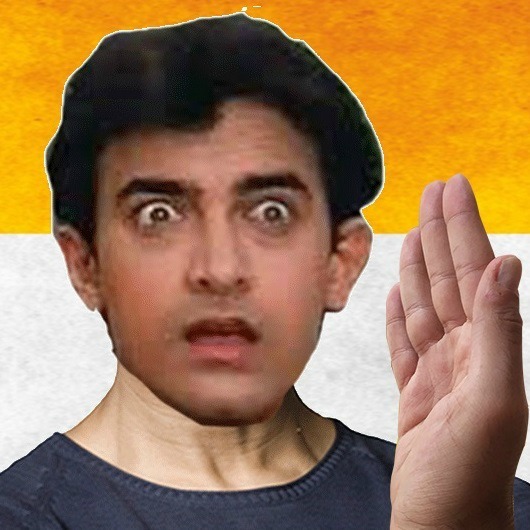 When the Shiv Sena's Punjab unit offered Rs 1 lakh to anyone who would slap Amir Khan, no one, including the party's heads in Maharashtra took it seriously. But now two students from the Miami Ad School has made a website where you can actually 'slap' Amir Khan. The website has a hand which allows you to 'slap' Amir, and his face even keeps on changing with every slap. At the time of writing, over 4.6 lakh people had already 'slapped' Amir Khan, as per the site’s counter. The website text says: “Slapaamir.com is for humor and creative purposes only and does not represent any political views of the people involved. Please be tolerant of our humor,” which is itself controversial statement. Such act depicts that the hatred towards Muslims in Indian society is growing like mushrooms. This is not the first of its kind example but before that King Khan Shahrukh also felt the heat of his one statement regarding intolerance on his birthday. This means that any Muslim living in India if talks about the growing intolerance will have to face more intolerance in return. This is alarming and if the state does not take any action regarding this, the situation can get worse. Modi government is already infamous for its biasedness towards Muslims.